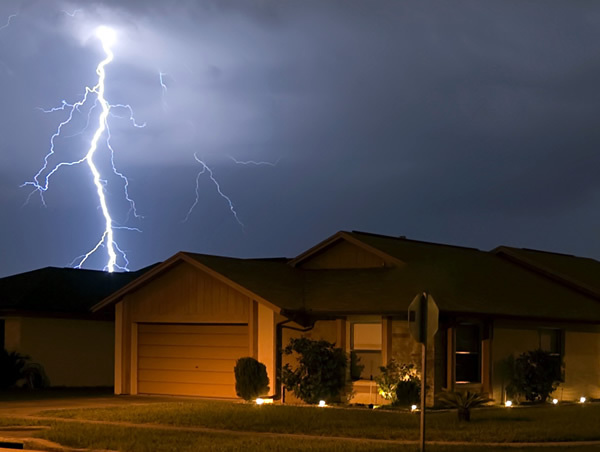 Is Your HVAC System Prepared For The Storm? We can all agree that rain is great for the garden and the plants, but NOT for your air conditioner and furnace. Hail and damaging winds can effect everything from your heating and cooling system, to glass doors and windows, and your roof. Flooding can also cause major electrical issues and be fatal to a heating system and other basement equipment. In preparation of the severe weather season, be sure to follow these steps. Remove loose objects in the yard that could be blown away. Install a sump pump to prevent flooding. Consider installing a back-up generator to power your air conditioner if needed to keep your home liveable until power can be restored. If you can, make sure your car is parked in the garage or other covered area. Stay away from skylights, windows and glass doors. Watch the radar and news alerts to learn the severity of the storm to determine if you need to take further shelter. Look for obvious damage (such as scratches and dents) on the exterior surface of your outdoor unit. Carefully check your basement for flooding. If you experienced a power outage, check your electric box to make sure that all of your circuit breakers are in the 'on' position.